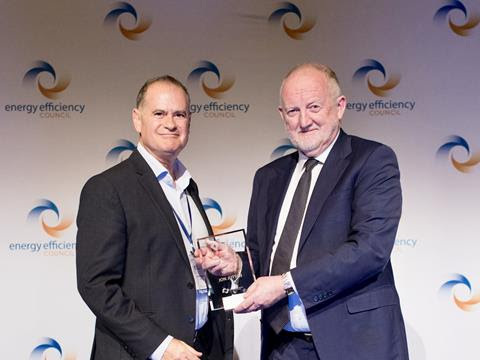 Presented by the Energy Efficiency Council (EEC) the National Energy Efficiency Awards 2018 were announced on Monday 19 November 2018 at the Gala Dinner of the National Energy Efficiency Conference held at the Sfotel Wentworth in Sydney. The Energy Efficiency Council congratulates all of the winners. As Botany Paper Mill accounts for 40% of Orora’s electricity use and 30% of its gas use, improving it’s energy performance was essential to the company achieving a challenging business-wide energy reduction target of 10% by 2019. The approach that the Botany Paper Mill Energy Management Team have taken to meeting these targets is a world class example of holistic, site-wide energy and waste efficiency measures. Under the Victorian Government’s Greener Government Building Program, Museums Victoria partnered with global technology company Siemens, to undertake a number of energy efficiency and environmental sustainability measures. Completed in 2017, the successes at Museums Victoria are already tangible: CO2 emissions have fallen by 16%; water consumption has dropped by 6%; and they have achieved a total annual energy reduction of 3,247,976 kWh. With Pooled Energy, swimming pools are continually optimised for time-of-day, time-of-year, weather, forecast, solar PV input, swimming use, water chemistry, the cost and price of power and the technical state of the Grid. Saving customers approximately 30% in their total household electricity consumption. 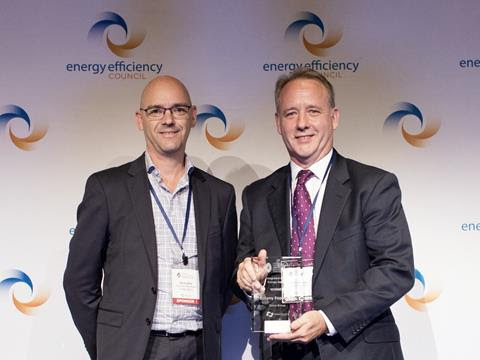 In January 2014, Target Australia set out to improve its energy efficiency and manage ever increasing energy costs. Four and half years later, Target has reduced energy use per meter of store area by 32%, reduced its scope two carbon emissions by 36% percent and avoided $24.5 million in energy cost increases. This has been achieved through a disciplined approach to monitoring, measuring and managing both energy use and supply costs. In addition to the great energy efficiency measures undertaken by the Botany Paper Mill is the installation of a fully integrated onsite co-generation plant providing 6% of the Botany Mill electricity requirements and displacing approximately 60 000 GJ of natural gas usage from a renewable source. EEIQ is an online portal that helps ensure that claimed energy-use savings are accurate and trustworthy, by training electricians and plumbers working in the energy efficiency sector to install appliances and systems in full accordance with Australia’s various energy-efficiency Codes, Regulations and Standards. 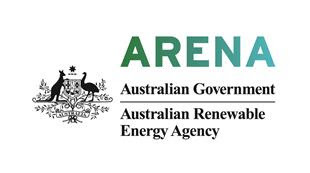 In 1999 the ACT Government introduced Australia’s first and only mandatory program for disclosing the energy efficiency of homes when they are leased or sold. Numerous studies have shown that this program is working – ensuring that building owners who upgrade their properties are rewarded with higher prices when they lease and sell them – the creates a real incentive for energy efficiency upgrades. Michael managed the delivery of Built to Perform, an initiative led by the Australian Sustainable Built Environment Council (ASBEC) and ClimateWorks Australia. Built to Perform provides an industry-led evidence base to support governments set a trajectory for tighter energy efficiency standards for buildings that rises over time. For over 30 years, Jon has been an enthusiastic and tenacious lobbyist for our sector. 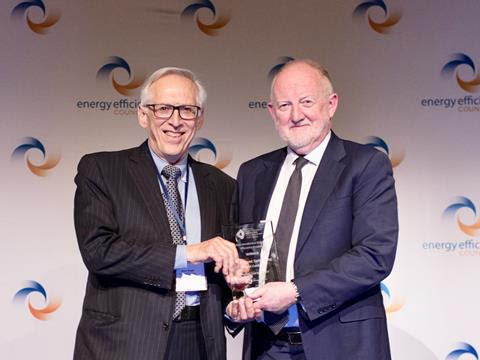 From the founding of Energetics in 1984, through to his current role as Chair of the Australian Alliance for Energy Productivity, Jon has worked diligently to raise the profile of energy productivity and efficiency both nationally and internationally. Jon has played key roles in attracting funding to efficiency and productivity measures as well as promoting outcomes and the importance of addressing the demand side. A Fellow is an individual that has made an exceptional contribution to the Energy Efficiency Council and its mission to build the market for energy efficiency products and services. Simon James was elected as the President for Energy Efficiency Council during our first conference, in 2009, and held that post until he stepped down as 2013. During his tenure as President, the EEC grew from a tiny start-up organisation to a nationally-recognised leader in the sector and the community. Under his leadership, the EEC become a highly influential and respected voice in the energy debate. 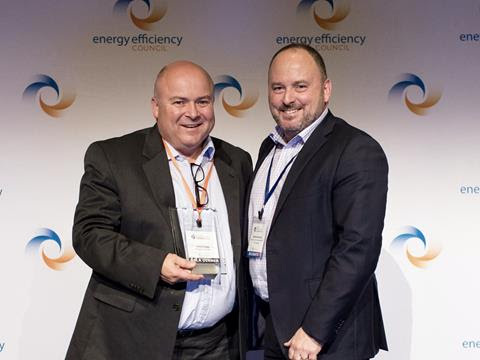 Presented by the Energy Efficiency Council (EEC) and now in its sixth year, the winners of the National Energy Efficiency Awards 2017 were announced on Monday 20 November 2017 at the Gala Dinner of the National Energy Efficiency Conference held at the Pullman Melbourne Albert Park. The Energy Efficiency Council extends warm congratulations to all of the winners. 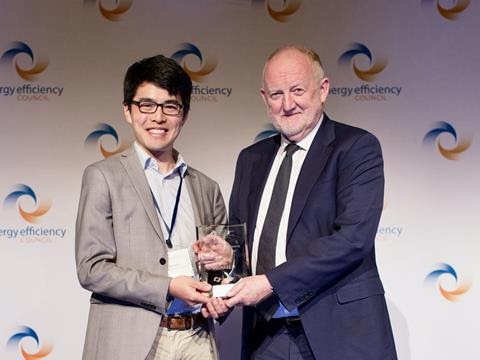 Presented by the Energy Efficiency Council and now in their fifth year, the winners of the National Energy Efficiency Awards 2016 were announced on Tuesday 16 November 2016 at the Gala Dinner of the National Energy Efficiency Conference, held at the Australian Technology Park, Evelegh NSW. 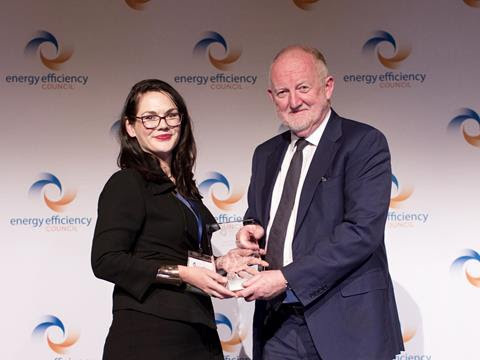 Delivered by the Energy Efficiency Council and presented in partnership with the Energy Users Association of Australia, the awards were presented at the gala dinner of the National Energy Efficiency Conference 2015 on 17 November at Pullman Melbourne on the Park. 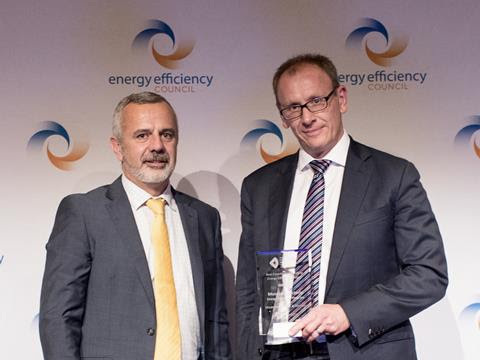 The National Energy Efficiency Awards 2015 are presented in partnership with the Energy Users Association of Australia with support from NSW Office of Environment and Heritage. The Energy Efficiency Council extends warm congratulations to all award winners. 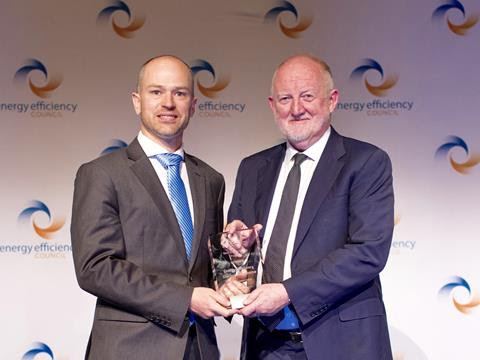 The Awards were presented at the Energy Efficiency Council's Annual Conference 2013 Gala Dinner on in Melbourne on 3rd December 2013. 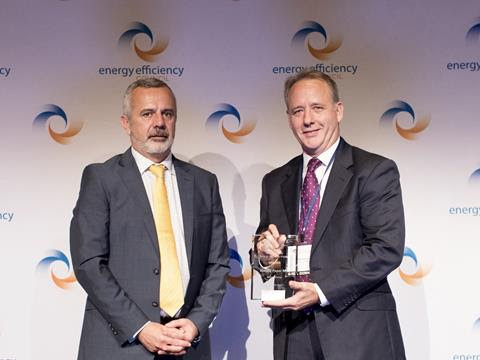 The 2012 Energy Efficiency Council Industry Awards were presented at the EEC's national conference in Sydney on 5 December 2012.